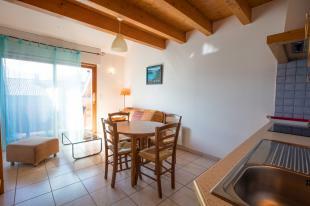 T1 apartment of 27 m2, our two-storey studio can accommodate 3 holidaymakers in the best conditions of comfort. 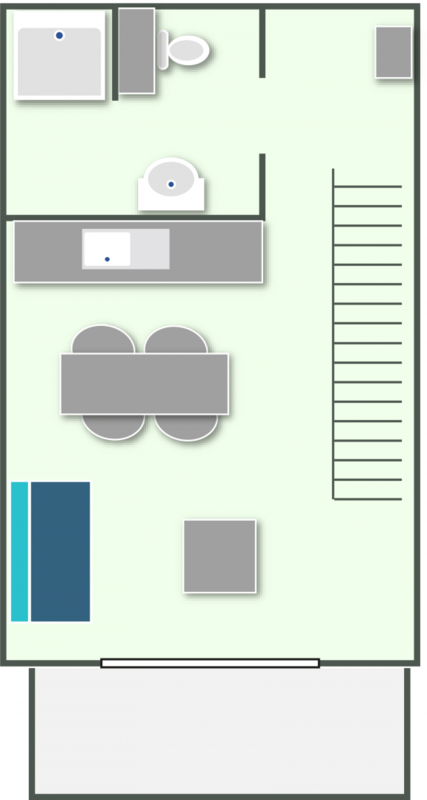 On level 1, a large living room includes a living room with sofa bed, coffee table and television, as well as a dining area with a table for 4 and an American kitchen. 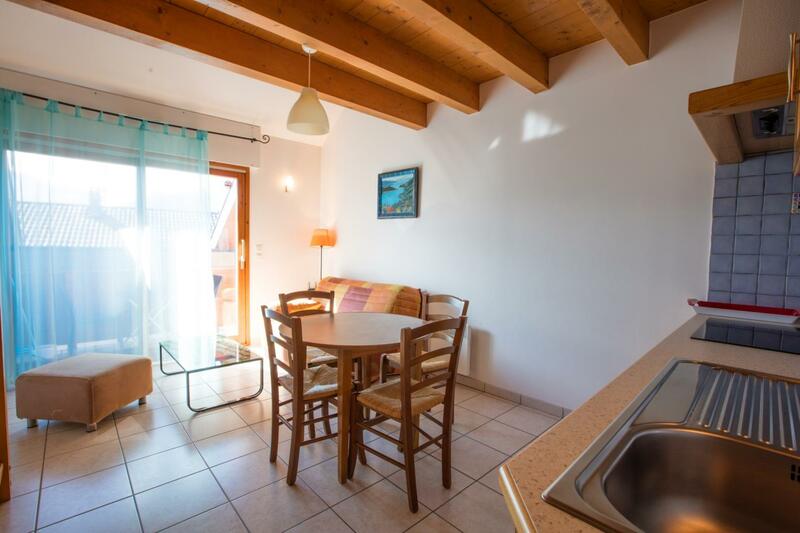 In our studio, you have the necessary equipment to prepare all your breakfasts and meals: hob and oven, refrigerator, sink, coffee maker and kettle. 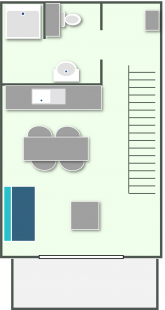 On the same level as the living room is a bathroom with shower, toilet and sink. 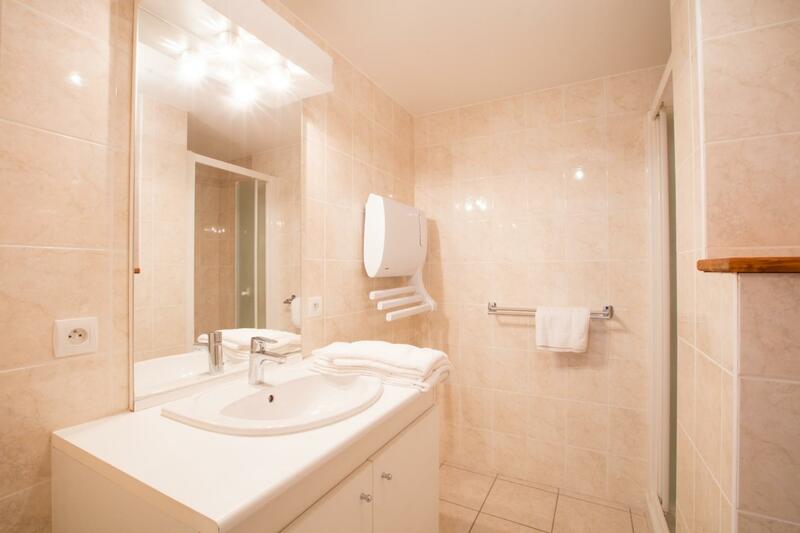 The bathroom is equipped with a towel dryer. Ideal for a couple, the studio includes a mezzanine sleeping area. 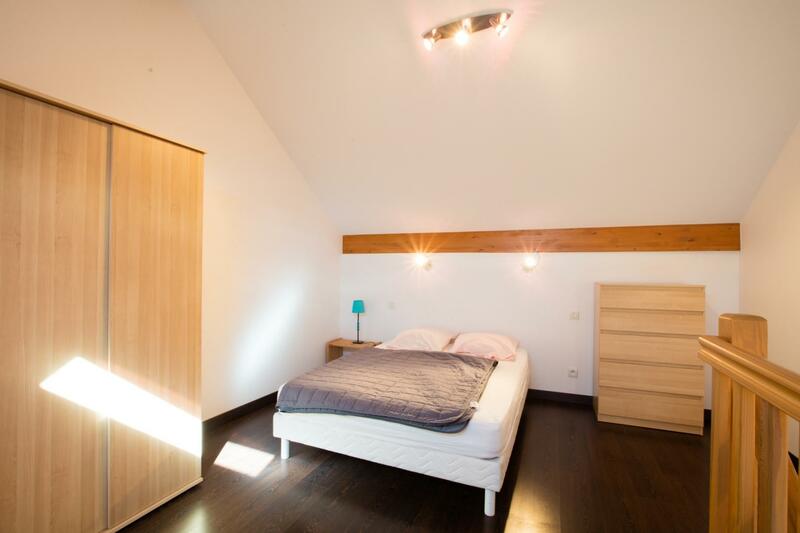 This room is furnished with a double bed 140 x 190, a bedside table, a wardrobe and a chest of drawers. 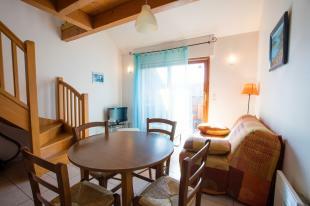 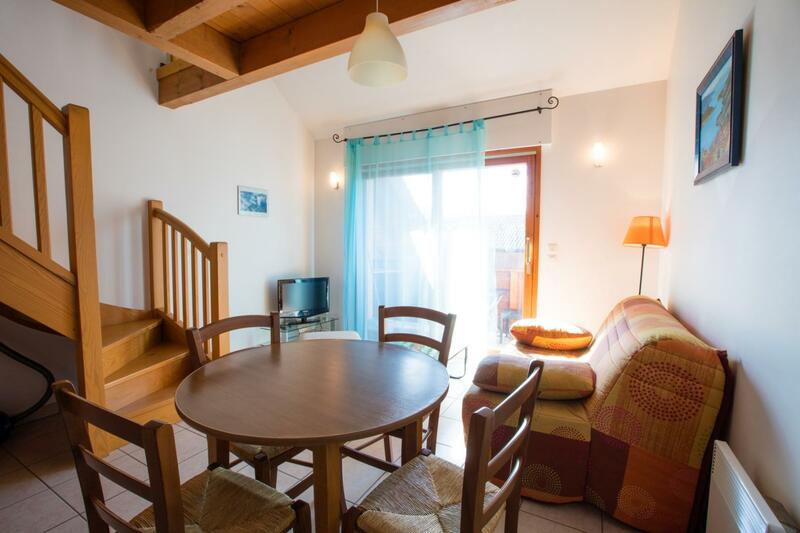 The holiday apartment includes a pleasant balcony, accessible through a bay window from the living room.